Is it bad that the offseason has been more exciting than the playoffs? Well it has been, but I’m not complaining. The league is experiencing a major shakeup this summer, so make sure to tune in every day as we update this post with winners and losers. Here’s what we have so far. The Thunder left everyone grabbing the rails for safety when they pulled off a heist on Indiana. In exchange for Paul George, Oklahoma City sent over Victor Oladipo and Domantas Sabonis. If you’re wondering why I didn’t say “and a first-round draft pick,” it’s because the Thunder didn’t give up one. That’s right, Oklahoma City dumped Oladipo’s 4-year, $84M contract and acquired four-time all-star Paul George in the process. A lot of people are hesitant to give the Thunder both thumbs up because George is expected to leave to the Lakers next summer, but I’m giving them high praise for taking the gamble. It’s a gamble that many believed the Celtics would take considering just how many assets they have, but Boston GM Danny Ainge failed to pull the trigger in time once again. Thunder fans are still healing from the departure of Kevin Durant last offseason, but it looks like there’s new hope in Oklahoma City. You had to have known where I was going with this one. George’s name has been connected to Boston for months now. The Celtics had a slew of young prospects to offer, not to mention half of the league’s draft picks for the next couple of years, and what did they do? Nothing. Draft night came along and Boston wasn’t even in touch with Indiana. They also watched as Minnesota traded for Jimmy Butler that night, another player that the C’s had their eyes on. The first day of free agency came along and Ainge continued to twiddle his thumbs. 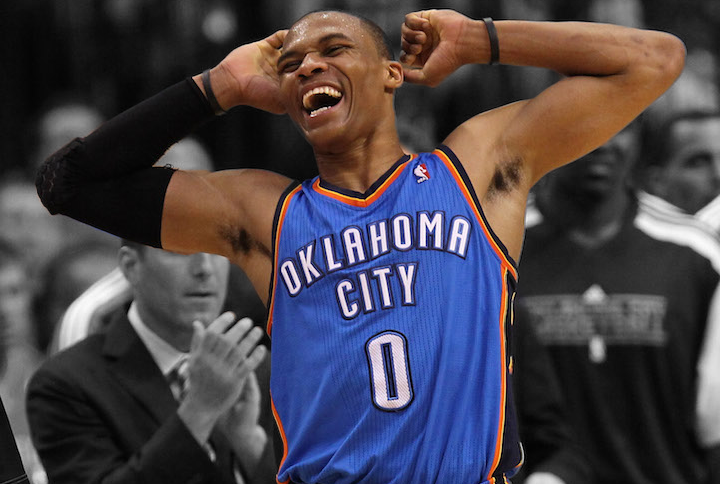 Oklahoma City showed the guts that Boston didn’t have, and now George is playing alongside the MVP, Russell Westbrook. The Celtics did manage to sign German All-Star Daniel Theis, but the acquisition pales in comparison to what could have been. Ainge better hope he lands Gordon Hayward or else we could have a riot in Bean Town. The Houston Rockets did exactly what they set out to do: Bring in another super star to play alongside James Harden. Chris Paul is all of that and more. The Rockets gave up a lot, but Paul is a game changer. The nine-time all-star is an elite passer, and his stellar defense will prevent any sort of drop off with the departure of 1st All-Defensive guard Patrick Beverley. Add in the acquisition of lockdown defender P.J. Tucker and the Rockets are looking like a 60-win team. Well done, Houston. What? The Clippers lose Chris Paul and they’re still winners? Yes they are, let me explain. Paul was a free agent. Los Angeles obviously didn’t want to see it happen, but there was a real possibility that he would sign with another team and the Clippers would get nothing for him. Insert newly-appointed GM Jerry West (AKA the mastermind behind the Warriors’ success). The Logo not only managed to get a 1st All-Defensive guard in Patrick Beverley and a Sixth Man candidate in Lou Williams, but he also was able to convince Blake Griffin to re-sign. The loss of Paul hurts, but the Clippers still have a playoff team, and that makes the pill a little easier to swallow. I bet you Kevin Garnett wishes he would’ve stuck around for another year. The Timberwolves were the stars of the NBA Draft, and it wasn’t because of who they selected. Minnesota managed to pry three-time All-Star Jimmy Butler AND the No. 16 overall pick in this year’s draft (which turned into Creighton’s Justin Patton) from Chicago in exchange for Zach LaVine, Kris Dunn and the No. 7 overall pick (which turned into Arizona’s Lauri Markanen). Butler provides a real veteran leader (no offense, KG) to a team that’s filled with young talent. Oh yea, and the guy can shoot. 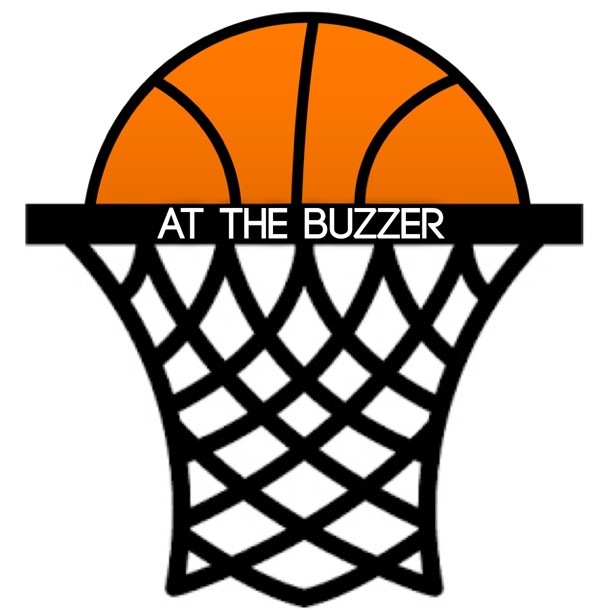 Butler’s elite scoring ability and gritty defense is exactly what the Timberwolves need, and it’s looking like their 13-year playoff drought could come to an end this upcoming season. 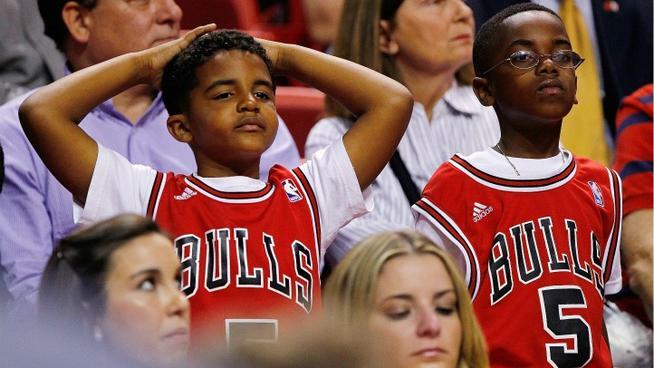 Chicago fans had been bracing for the departure of Jimmy Butler for a while, but even they weren’t ready for this. The Bulls acquired an injured Zach LaVine that only played 47 games last season, a struggling Kris Dunn that only 3.8 points and an unproven Lauri Markannen out of Arizona. Let’s also acknowledge THAT THE BULLS GAVE UP THE NO. 16 OVERALL PICK. Why a team that just lost a super star has to also give up a first rounder I do not know, but Minnesota pulled off a magic trick that even Houdini would be proud of. Major L for you, Chicago. Day One of Free Agency is in the books, and it was wild. The day was filled with more twists and turns then a Spanish novela (that’s a soap opera, FYI), and here’s who came out as winners and losers. 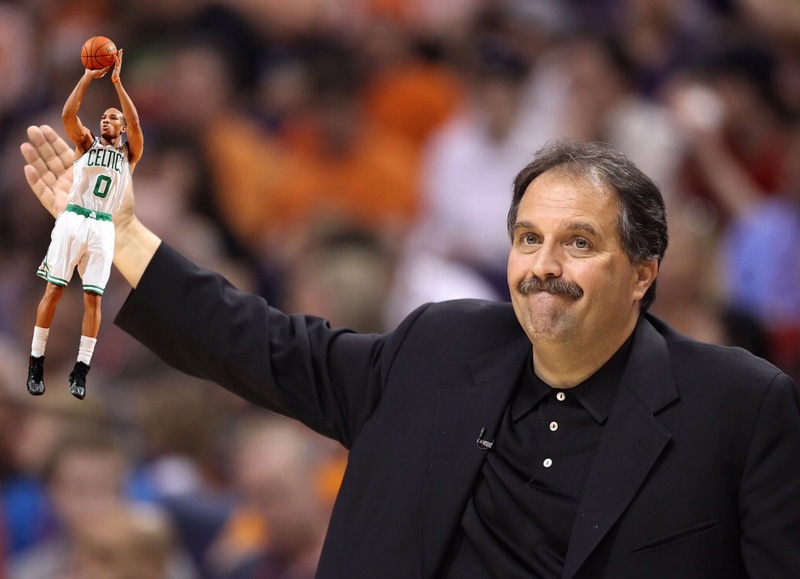 It looks like the Suns will be striking out for yet another free agency season. 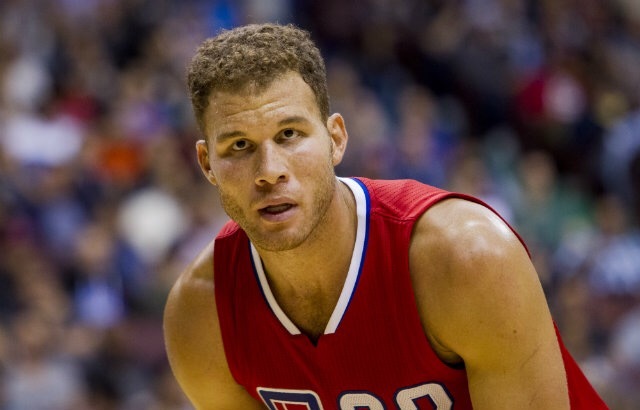 Phoenix had the first crack at Blake Griffin with a meeting on Saturday, but he ended up re-signing with the Clippers. The team also had their eyes on Paul Millsap, but ESPN’s Adrian Wojnarowski reported that they’re no longer in the running to land the four-time all-star. The Suns still have Devin Booker and No. 4 overall pick Josh Jackson to get excited about, but they’re taking an L in free agency so far. Sam Hinkie died for our sins. The hype around the 76ers hasn’t been this high since Allen Iverson was stepping over Tyronn Lue in the 2001 NBA Finals. Obviously this Philadelphia squad hasn’t proven themselves to be that good on the court yet, but they sure do look good on paper. The big three of Markelle Fultz, Jonathan Simmons and Joel Embiid has the potential to wreak havoc on the league for years to come, but that’s not the end of the story. The 76ers acquired a veteran leader in three-point specialist J.J. Redick, signing the former Clipper to a one-year, $23M deal. Philadelphia also added depth at the four spot with the signing of Boston’s Amir Johnson for one-year, $11M. The Process is real, and we’re starting to see the results. I can’t imagine that it’s easy being a Kings fan. First you have to watch DeMarcus Cousins get shipped off to New Orleans for a bag of chips and a half-eaten ham sandwich, then you say goodbye to Rudy Gay and Langston Galloway this offseason. You had a chance at Andre Iguodala, but he ended up re-signing with Golden State. 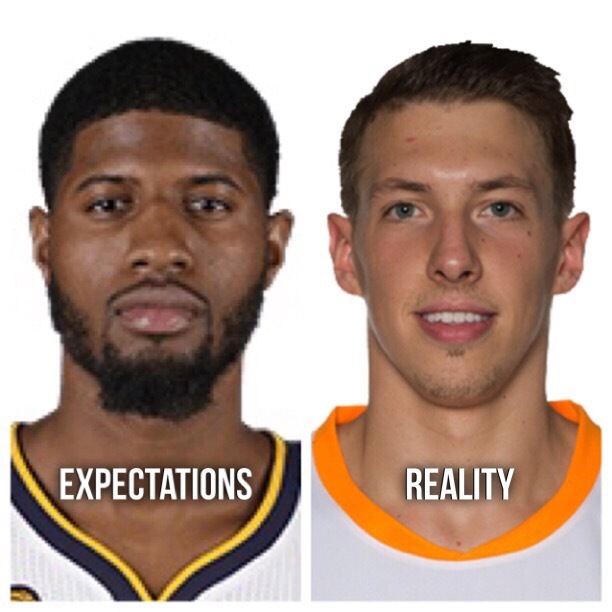 Sure, the NBA Draft treated you well, but it’s been nothing but Ls this free agency. Day Two of free agency can best be described as the eye of the storm. With players like Gordon Hayward, Otto Porter Jr. and Danilo Gallinari still available, we’re in for quite the ride in the following days. But just because today didn’t have us all on the edge of our seats doesn’t mean there weren’t any winners and losers. With that said, here’s how it all went down. The Raptors’ goal this offseason was to fend off competing suitors and retain their key players, and they did exactly that today. Toronto started the day by re-signing their best defender, Serge Ibaka, to a three-year, $65M deal. The price tag is steep, but Ibaka’s rim-protecting ability (2.4 blocks per game over his career) makes him well worth it. Next up on the to-do list was the re-signing of star point guard Kyle Lowry. The three-time all-star received interest from multiple teams, but Raptors GM Masai Ujri wasn’t about to let him walk. The two parties agreed on a three-year, $100M contract, and Lowry broke the news on the ThePlayersTribune.com. Bringing back the core of the team certainly feels like a win, but it’s a core of a team that got swept by the Cavaliers in the second round of the playoffs. Without any major changes to the roster, one has to wonder if the Raptors are simply stuck in limbo – destined to lose when it matters most. I’ll tell you how: They overpaid. Cleveland inked a three-year, $22M deal with a 36-year old, meaning he’ll be getting paid $7.33M each year until he’s 39. Take a closer look at the stats. Korver averaged a mere 4.4 points per game and only shot 31.3 percent from behind the arc in last year’s NBA Finals. He also looked slow and was a liability on defense against a much younger and more athletic Warriors squad. The team shelling out $22M should care. Yes it was only five games, but they were the five biggest games of his career, and he didn’t show up. The deal also pushes Cleveland’s luxury tax bill from $20.4M to $42.7M, and it’ll continue to rise if the Cavaliers wants to add new pieces and improve. I can’t help but feel like former-Cavs GM David Griffin wouldn’t have let this deal go through. It’s good to be a Rockets fan right about now. Houston got what might be the best value deal of the offseason so far, re-signing the 15-year veteran to a three-year, $11M deal. Nene still has a purpose on the team. The Rockets will need his play off the bench now more than ever after trading away a slew of players for Los Angeles’ Chris Paul. And Nene is up to the task. The backup big shot 61 percent from the field last year and averaged nine points per game in just 18 minutes of play. Getting a veteran player with plenty of life still in him for a bargain like that is definitely a W.
The Nuggets were the clear winners on Sunday, signing four-time all-star Paul Millsap to a three-year, $90M deal. 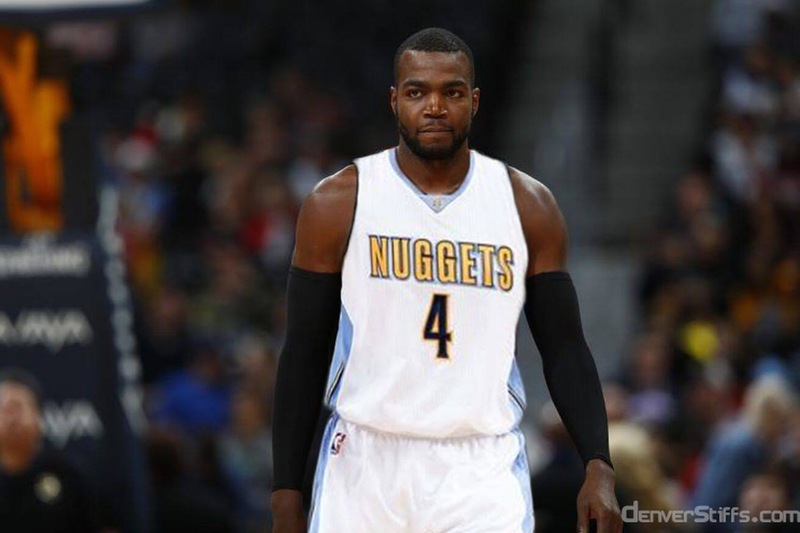 Millsap had meetings with both Phoenix and Minnesota this week, but Denver managed to come out on top and land the big free agent (you don’t hear that too often). Millsap’s post presence and ability to bring defenders out the three-point line will compliment fellow big man Nikola Jokic. It’ll also take pressure off of the young back court of Gary Harris and Jamal Murray, allowing them to truly develop. It’s raining Ws in the Mile-High City right now. Well that was boring. Day Three of NBA Free Agency didn’t exactly live up to the past few days, but tomorrow should make up for it. Gordon Hayward is expected to make his decision tomorrow, and the Clippers are on the verge of completing a three-team signing trade for Denver’s Danilo Gallinari. With that in mind, here are out (underwhelming) winners and losers of Monday. 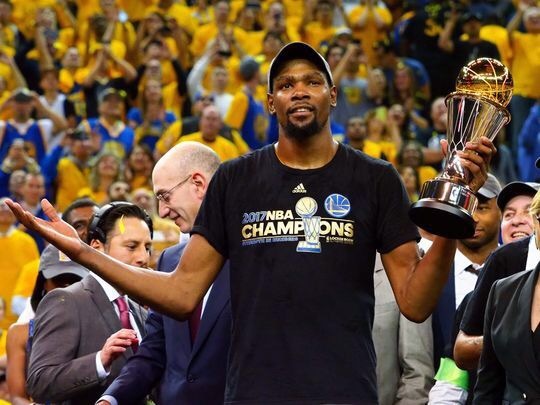 Kevin Durant really hooked up the Warriors front office, electing to sign a two-year, $53M deal – $9M less per year than he was expected to take. 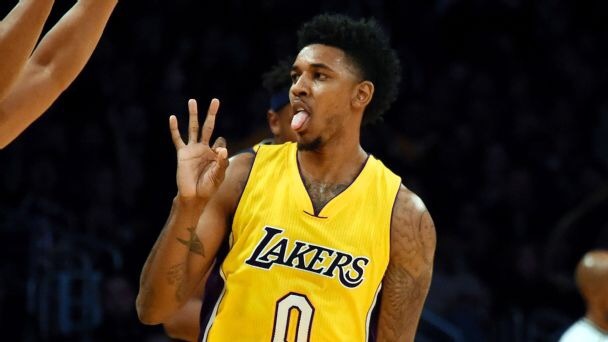 The shockingly-heavy discount opens up a number of possibilities this summer, including the option to sign former-Laker Nick Young. The Ws just keep piling up for Golden State, and it’ll stay that way for a while. When it’s a slow day, you can make jokes. Adrian Wojnarowski was praised by many as the King of Breaking News. However, that title seems to be at risk ever since The Woj made the switch from The Vertical to ESPN. Former Woj apprentice, Shams Charania, has been quick to the punch on nearly every news break this offseason, leaving many to believe that the student has become the teacher. 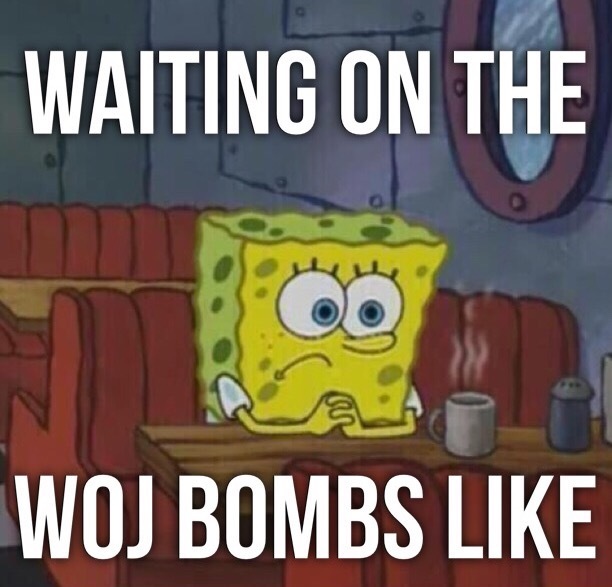 Will the Woj re-gain his throne? Will the Shams reign supreme? Will there be any actual winners and losers in the next few days that I can write about? Tune in tomorrow to find out! Now that’s more I like it. Tuesday delivered the drama and big-name signings that we’ve all been waiting for. We have a lot to cover, so let’s skip the witty intro and bad puns and just jump right into it. Here are our winners and losers of Day Four. The Kings did something totally out of character today: they made good decisions. After drafting De’Aaron Fox and Justin Jackson, Sacramento decided to add some veteran leadership in free agency. First on the to-do list was signing a veteran guard to mentor Fox and newly-acquired Buddy Hield. 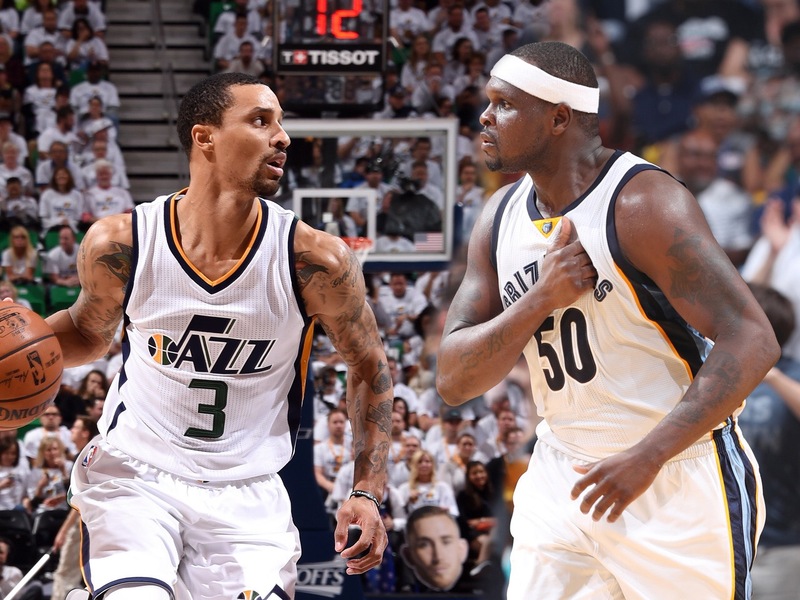 The Kings did that by signing 31-year old George Hill to a three-year, $57M deal. The next task was to find a veteran big to guide Willey Cauley-Stein and Skal Labissiere. Sacramento made it happen, signing 16-year veteran Zach Randolph to a two-year, $24M deal. Hill and Randolph provide both immediate production and experience to a team that lacks in those departments. I don’t know who took over Sacramento and started making rational decisions, but good job. The Raptors haven’t made any improvements this offseason. 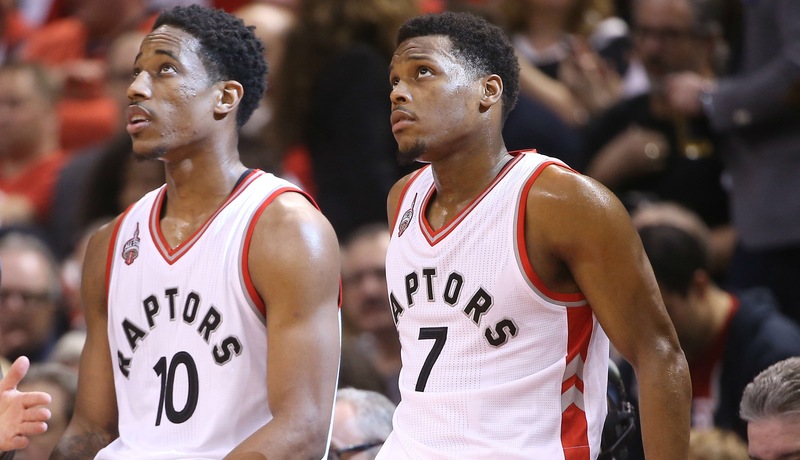 Sure, they managed to re-sign Kyle Lowry and Serge Ibaka, but they lost P.J. Tucker to Houston earlier in the week and now Patrick Patterson has joined the Thunder. The one player they actually wanted to lose this offseason was DeMarre Carrol and his absurd four-year, $58M contract, and they haven’t found any takers (no surprise there). It doesn’t look like Toronto has made any moves that’ll give them a shot in the playoffs, and Raptors fans have to wonder if it’s time to really shake things up. BOOM. After missing out on Jimmy Butler and Paul George, the Cetics finally landed a star this summer, signing Gordon Hayward to a four-year, $128M deal. The 27-year old is one of the more well-rounded players in the league. His ability to score from any spot on the court and D up opponents makes him a great fit on any team, and he’ll be playing on green and gold next season. The acquisition poses an immediate threat to a Cleveland squad that’s struggling to find their identity. Rejoice, Celtics fans. 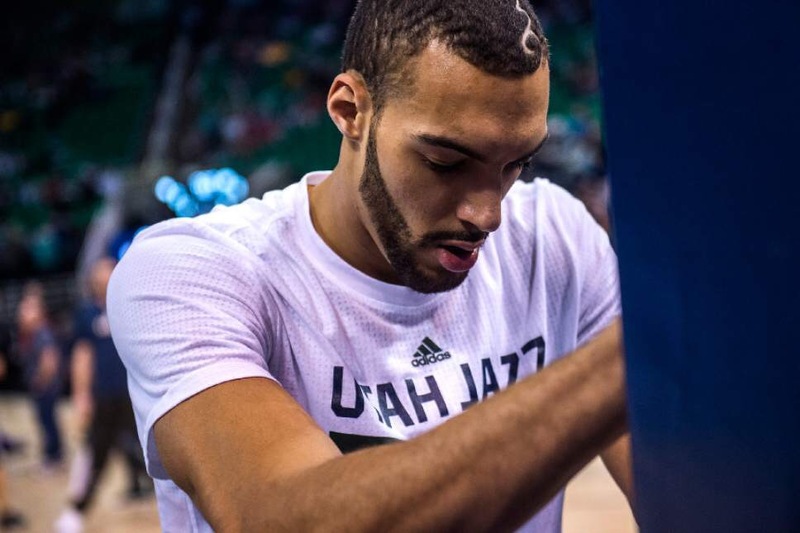 Somewhere, Rudy Gobert is having a drink and wondering where he went wrong. Is it because he didn’t tell Hayward how much he meant to him? Is it because he didn’t call enough? It’s probably none of those things (although it’d be weird if it was). The simple truth is that Utah was a dead end for Hayward. The Jazz made strides this season, finishing with 51 wins and claiming the fifth seed in the West, but they were never going to beat teams like Golden State or Cleveland. 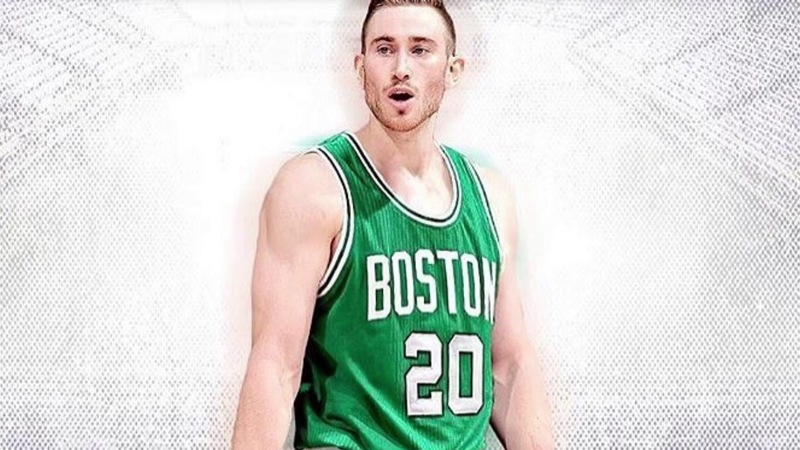 Boston gave Hayward the best chance to win, and you can’t blame him for leaving. The Jazz will be a decent team next season, but their pride and joy is now playing for another team. Newly-appointed GM Jerry West is known for being as savvy as they get. Unfortunately, I don’t see the reasoning behind the Danilo Gallinari trade. The Clippers traded Jamal Crawford, Diamond Stone, and Houston’s first-round pick to Atlanta as a part of a three-team trade that landed Gallinari in Lose Angeles. The Clippers also sent a second-round pick to Denver. Gallinari’s talents can best be utilized as a power forward in a small-ball lineup. That doesn’t seem to fit a Clippers team that thrives on the dominant front court of Blake Griffin and DeAndre Jordan. Sure, it makes the small ball lineup an option, but is it worth parting ways with a high octane scorer lile Crawford and a first-rounder? I don’t see this relationship having a happy ending, but we’ll just have to wait and see. Maybe West can prove us all wrong…again. But then you realize that there really isn’t anything better to watch and you’re certainly not going to turn off the TV and go to the gym or something, so you just watch the bad show. Well that bad show was Day 5 of NBA Free Agency, but it still beats baseball and tennis, so let’s look at our winners and losers of Wednesday. Don’t let the title fool you, this offseason really has been a pleasant surprise for Golden State. I don’t think anybody saw a scenario where they could actually IMPROVE this summer, but the Warriors proved us wrong once again, signing three-point specialist Nick Young to a one-year, $5.2M deal. Young is definitely ring chasing, but can you blame him? Swaggy P’s ability to provide a spark off the bench will make him a great asset for Golden State (as if they needed any more). Take notes boys and girls, you can never have too much swag. It’s hard to believe that just one year ago, Oklahoma City was left for dead. Everyone assumed that the departure of Kevin Durant meant the end of all hope for the Thunder. We were wrong. Fast forward to this summer. Russell Westbrook is MVP, four-time all-star Paul George is his running mate, and the dynamic duo is surrounded with talent. Players like Enes Kanter, Steven Adams and newly-acquired Patrick Patterson all provide support for a team that’s suddenly looking alive as ever. Wednesday’s re-signing of Andre Roberson only adds fuel to the flame. The NBA All-Defensive 2nd Team honoree is a game changer on the defensive end. He’s not a knock-down shooter by any stretch of the imagination, but he knows his role and he does it well. It’s not an exciting deal, but it’s a necessary one if the Thunder want to keep proving us all wrong. We definitely didn’t get our money’s worth yesterday, but today was chock-full of great signings. It’s a good thing too because I’m running out of ways to make boring things sound exciting. If you’ve been following this live blog, you know the drill by now. Here are our winners and losers from Thursday. 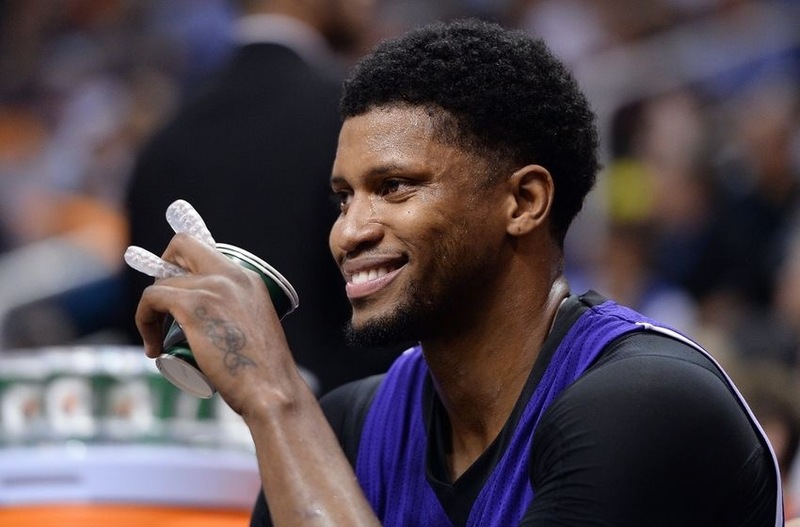 The Spurs made one of the better deals of the offseason today, signing Rudy Gay to a two-year, $17M deal. The acquisition finally provides some legitimate insurance in case Kawhi Leonard goes down again, and he could even find his way onto the starting lineup if San Antonio chooses to trade Danny Green. Gay will flourish in a system that shares the rock as well as any team in the league, and his 6’8″ size gives the Spurs to place him in at the four and run a small-ball offense. Head Coach Greg Popovich has to be happy that he got such a solid contributor at an absolute steal. A part of me saw Dirk Nowitzki’s two-year, $10M deal with Dallas and said “wow, Nowitzki is so unselfish.” But another part of me said “wow, Mark Cuban is really taking advantage of Dirk.” In this case, both of those statements are true. 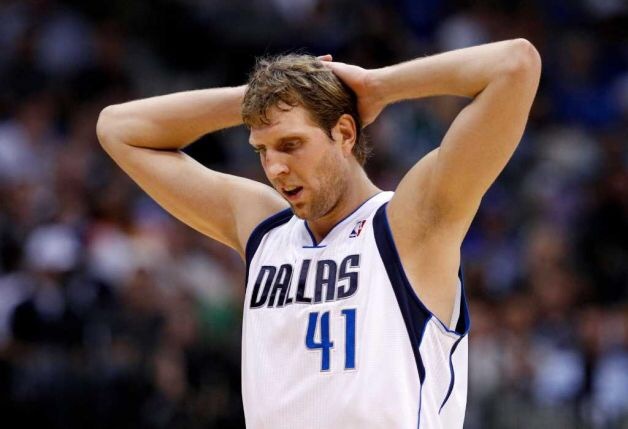 Nowitzki is taking yet another pay cut in order to give Dallas more cap space – space they can use to bring in new pieces. But that’s just the thing, why not sign the deal at the beginning of free agency? Most of the top free agents are off the market by now, and it appears that former-Knicks guard Derrick Rose is their No. 1 target. Call me crazy, but Rose isn’t a top player in this league. Oh. and neither is Nerlens Noel, Cuban’s latest infatuation that he insists on bringing back at all costs (including a max contract). Those aren’t the type of players that Dirk gave such a steep discount for, and it’s looking like the future hall of famer is sure to be disappointed. Even Phil Jackson wouldn’t have made this move, and that’s saying something. Tim Hardaway Jr. received an offer sheet of four years and $71M from New York today. Yea. 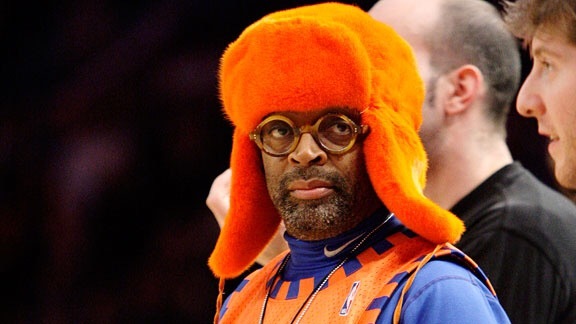 Hardaway is about to take up 18 percent of the Knicks’ entire cap space. And let’s not forget the 15 percent trade kicker that’ll make him virtually impossible to move later on. Hey New York, if you’re just giving out money, can you just throw some my way? It costs $10 a month to keep this site running and I could use the extra funds. When I decided to do this live blog, I didn’t realize how time consuming it would be to write some winners and losers each and every day. I also didn’t realize how difficult it’d be to write some sort of funny intro for each day. So, yea. I’m going to count that observation as today’s intro. The Pistons were in the right place at the right time, snatching Avery Bradley from a Celtics team to needed to create space after acquiring Gordon Hayward. Bradley is one of the more underrated two-way players in the league. The 26-year old provided a career-high 16.3 points per game last year while also locking down the other other team’s best player on the other end. 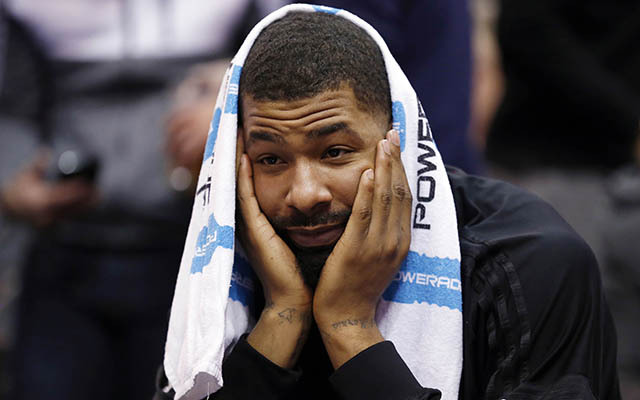 Detroit should be ecstatic that they only had to give up Marcus Morris for a former all-defensive first team guard. Well, shoot. The Pistons made it pretty clear this offseason that they intended to re-sign RFA Kentavious Caldwell-Pope at all costs. KCP was likely in line for a max contract, but that won’t happen with Avery Bradley in town. 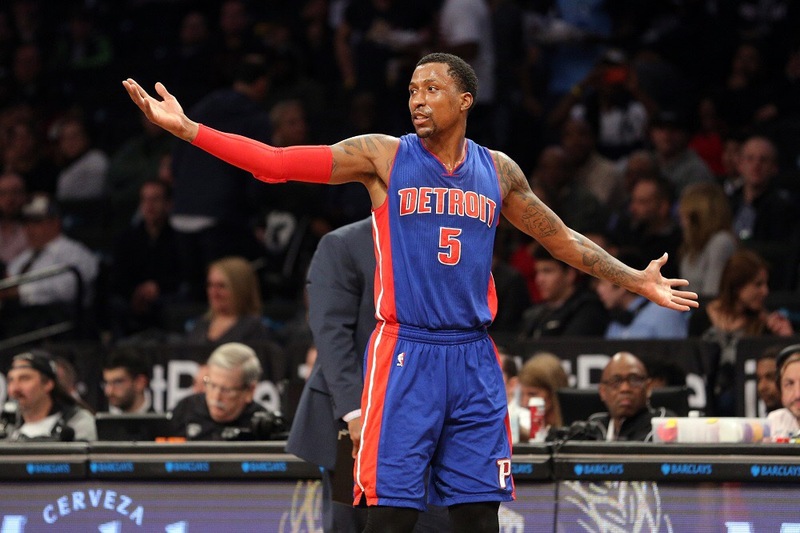 Just like that, Detroit renounced the rights to Caldwell-Pope and left him for the rest of the league to pursue. The 24-year old can kiss his max contract goodbye, and his situation is a perfect example of how cutthroat the league can be. It’s the weekend, and today provided some interesting developments. From crazy contracts to shocking decisions, here are our winners and losers from Saturday. Atlanta won today by doing nothing. The Hawks decided to not match New York’s absurd four-year, $71M offer sheet for Tim Hardaway Jr., and they should give themselves a pat on the back. It’s a deal that’ll go down as one of the more ludicrous decisions by the Knicks front office, and that’s saying something. Sure, it would’ve been nice to have kept Hardaway if you’re Atlanta, but it’s even nicer to dump that contract on New York. I’m running out of ways to describe just how much the Timberwolves are killing it this summer. Minnesota addressed another issue today, finally getting a spark off the bench in three-time Sixth Man of the Year Jamal Crawford. Minnesota didn’t look like a real threat to land the savvy 13-year veteran until the last second, and what an add it is. It’s an acquisition that’ll only further solidify peoples’ belief that the T-Wolves will end their 13-year playoff drought. Minnesota is the place to be right now, and Crawford is ready to be a part of it. To put it into football terms, Cleveland just fumbled at the one-yard line. 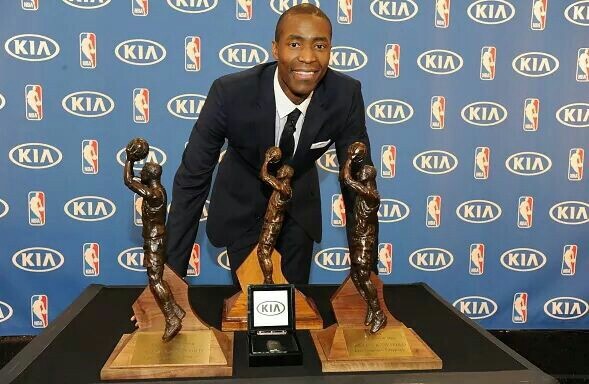 Sources unitedly claimed that Jamal Crawford was the Cavaliers’ acquisition to lose. The Deron Williams and Andrew Bogut experiment was one of the biggest fails of this past season, and Crawford could’ve finally been that playmaker that LeBron James was pleading the Cavs front office for. Well, it didn’t happen. 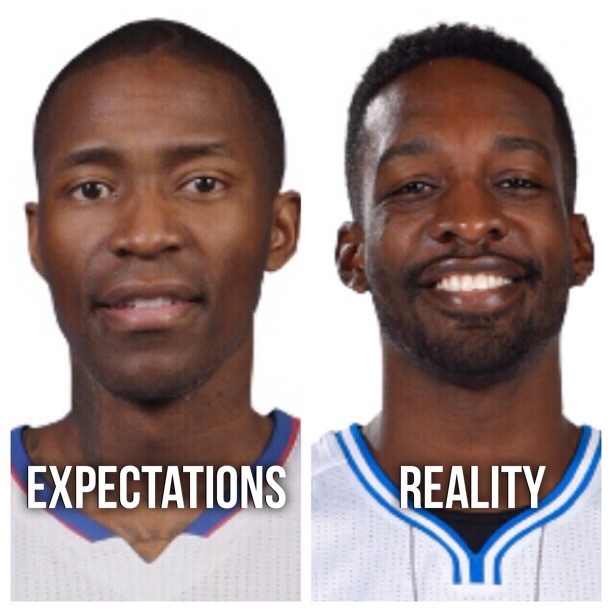 Instead, they got Jeff Green, a player who has struggled to find a good fit in this league for years. Acquiring Crawford obviously wouldn’t have placed Cleveland ahead of Golden State on the NBA heirarchy, but it definitely would’ve closed the gap a bit. Signing Green is simply a latteral move while the Warriors are off re-signing everyone and adding solid contributors like Omri Casspi and Nick Young. 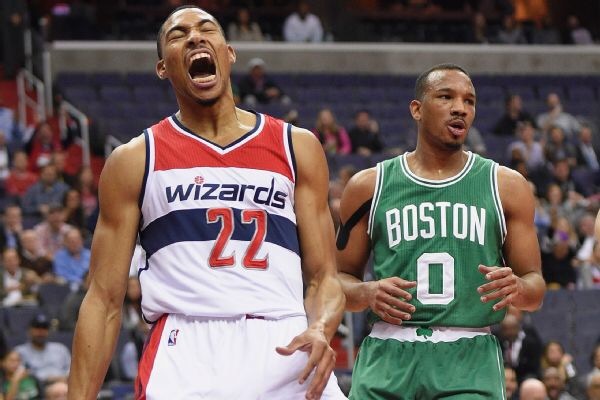 Props to the Wizards for keeping their word and matching Brooklyn’s four-year, $106M max-contract offer sheet for Otto Porter Jr. It’s a sign of loyalty that Kentavious Caldwell-Pope did not receive from Detroit. Porter is getting paid in the grandest of fashion, and the Wizards have to really be happy with the young trio of John Wall, Bradley Beal and Porter. Washington showed some potential last season, taking the No. 1 seed, Boston, to seven games in the Eastern Conference Semi Finals. With the gang back together, the Wizards are hoping this year will be the one where they break out. 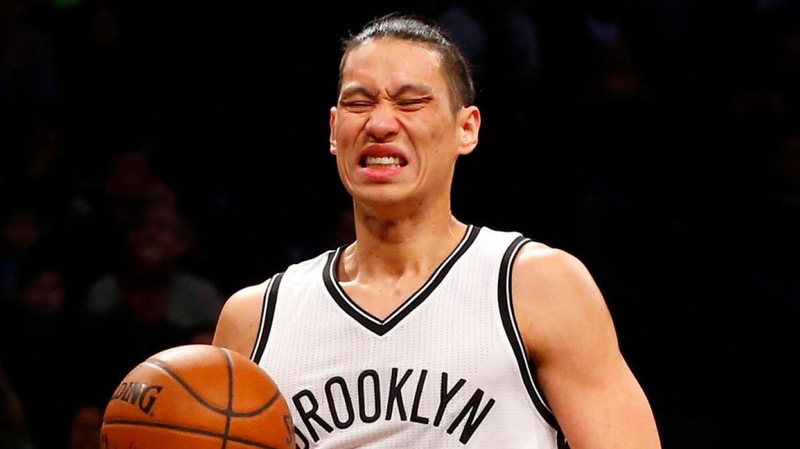 I don’t care how cool Jay Z makes Brooklyn look, it’s not easy getting a big-name free agent to play for the Nets. Washington matched Brooklyn’s offer sheet for Otto Porter Jr. today, making that the fourth-straight failed attempt at a restricted free agent in the past two summers (Tyler Johnson, Allen Crabbe, Donatas Motiejunas and now Porter). Sure, we now have the hindsight to know that Johnson, Crabbe and Motiejunas aren’t worth pursuing aggressively, but that’s not the point. The point is that yet another free agency period is reaching its end and Brooklyn has once again failed to land one of the prized players available. It’s worth noting that I’ll be skipping some of the more uneventful days this offseason. I probably should have mentioned that earlier. Well today was interesting, so I’m back. Anyways, here are my winners and losers from Tuesday. The Hawks haven’t done much winning this summer. They watched as Paul Millsap left for Denver, and they traded away Dwight Howard as well. It’s clearly rebuilding time in Atlanta, but that doesn’t mean you can’t snag a good value deal every now and then. 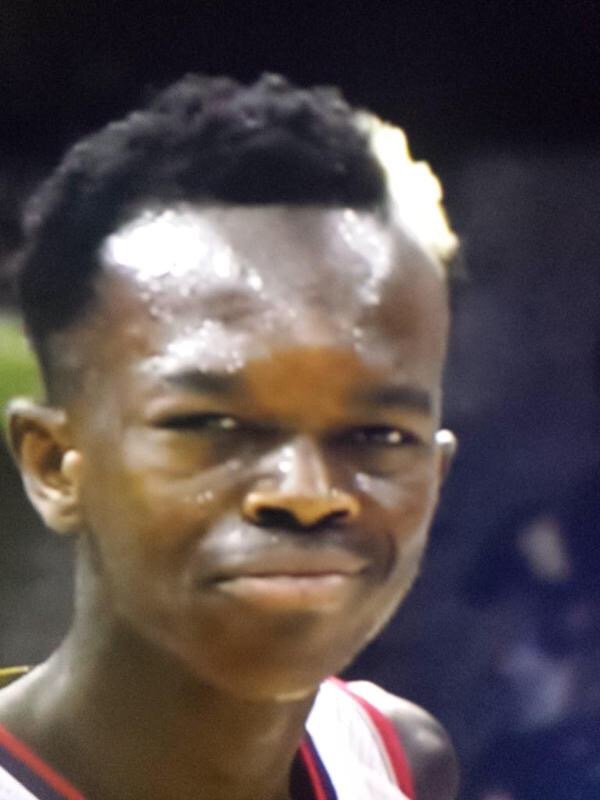 The Hawks signed former-Spur Dewayne Dedmon to a two-year, $14M deal on Tuesday. The 27-year old only played an average of 17.5 minutes per game as Pau Gasol’s backup, but his impact on the defensive end makes him worth the price tag. Dedmon averaged 10.5 points, 13.4 rebounds and 1.7 blocks per 36 minutes last season, and with starting spots in the front court now completely up for grabs in Atlanta, Dedmon could excel develop into a solid contributor. This isn’t exactly an L given out exclusively for Tuesday. Rather, it’s an L for this summer so far. 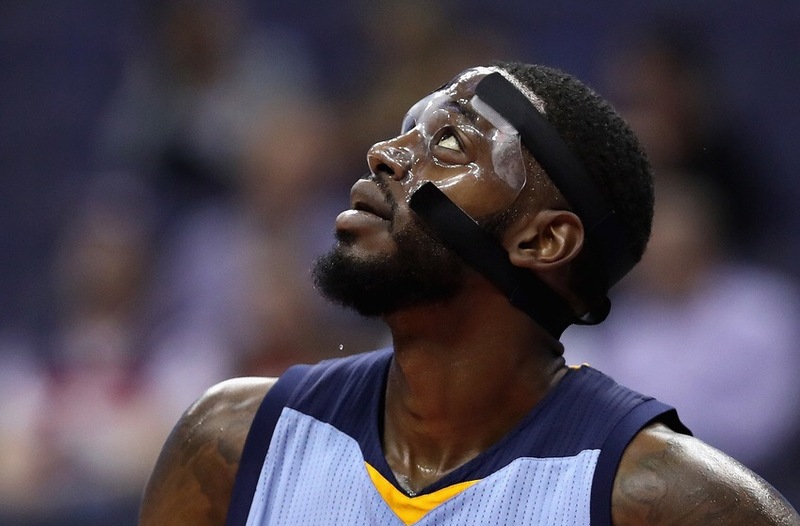 JaMychal Green looked to be in line for a pay day this offseason. The 27-year old combo forward is exactly the type of versatile big man that every team is looking for. His ability to guard positions 1-5 and shoot a solid 38 percent from three should translate into a lot of interest this summer, but it hasn’t. Green is still available, and once has to wonder if Memphis will be able to re-sign him after all. We’ll have to wait and see if anyone decides to shell out some cash for Green, but it’s not looking good for him so far. 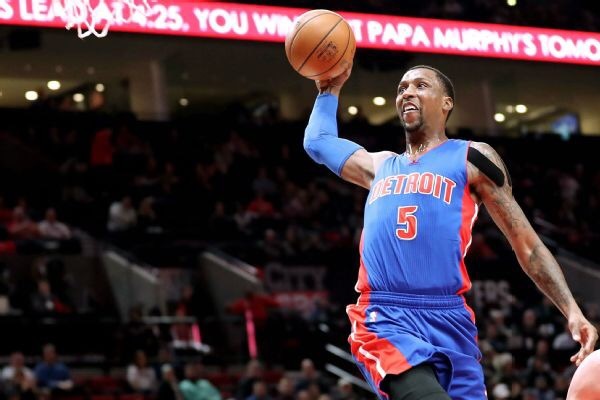 The Lakers were the clear winners today, convincing Kentavious Caldwell-Pope to take a one-year, $18M deal. The short-term commitment is a low-risk move by Los Angeles. Caldwell-Pope showed potential this past season with Detroit, averaging 13.8 points and shooting 35 percent from behind the arc. KCP is also only 24 years old, and he’ll now join a Lakers squad that’s filled to the brim with young talent. Los Angeles also stayed patient, waiting for the Pistons to renounce their rights to Caldwell-Pope and avoiding having to sign a max-contract offer sheet for him. The presumed starting lineup for Los Angeles is now Lonzo Ball (PG), Caldwell-Pope (SG), Brandon Ingram (SF), Julius Randle (PF) and Brook Lopez (C). Not too shabby, Magic Johnson.